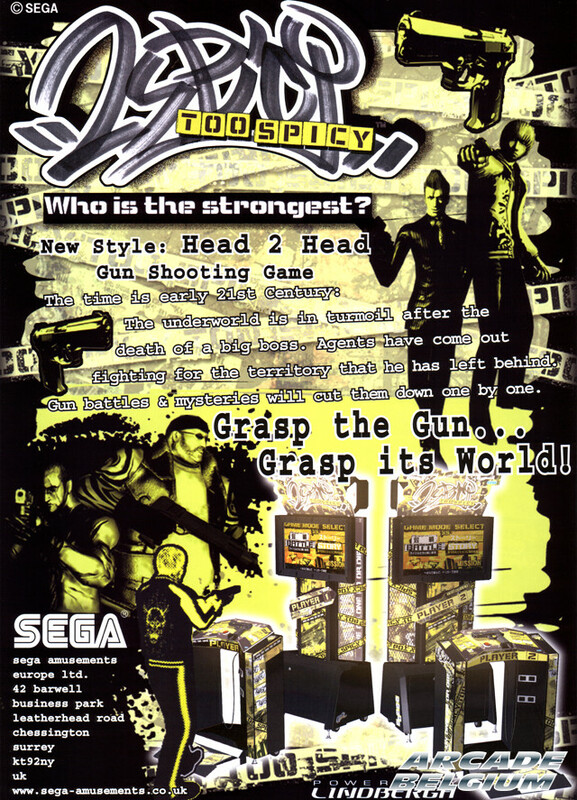 We were used to cooperative lightgun games (Time Crisis, The House of the Dead, Ghost Squad,...). Here comes now a competitive gunner! The action takes place in a urban setting in the middle of a gang war. 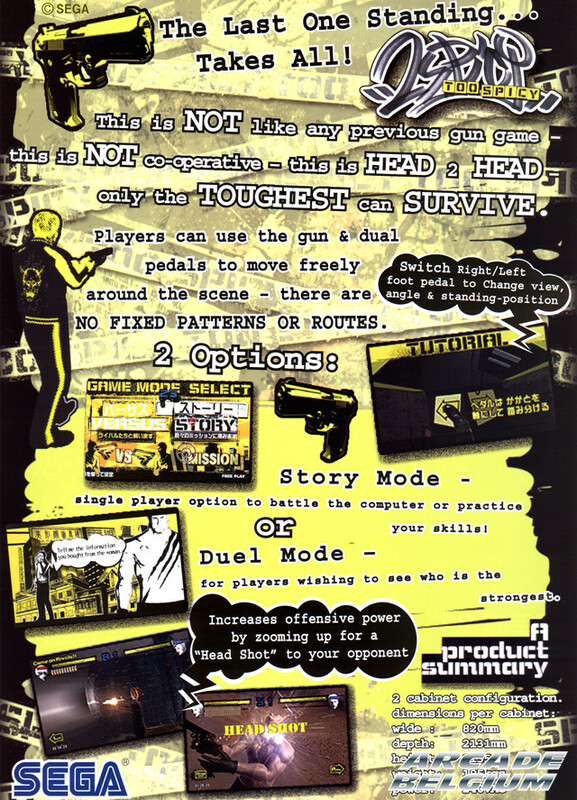 The duel system isn't 2 Spicy's only originality since the gameplay offers some surprises; aiming out of the screen enables you to safeguard yourself, but above all you can move freely thanks to the two pedals attached to the cabinet (step on the left pedal and you'll move to the left, this doesn't seem too complicated). There are many ways to kill your opponents such as making combos (fire several several times in the same area), doing a headshot or by firing at objects near him (explosive barrels, cars, ...). 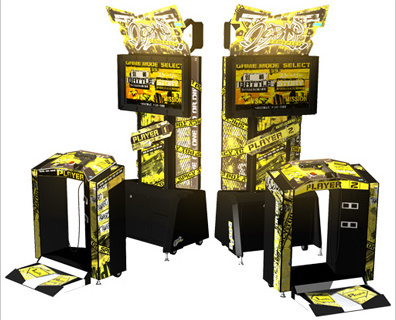 The basic twin version is made of two independant units that can be placed in order to avoid a player to see his enemy's screen (which has a 16/9 ratio). Even if this game is designed for multiplayer, it's possible to play alone with the featured story mode. This game runs on the Lindbergh Red platform.